Fiona O'Carroll is an actor and current cast member of the popular BBC/RTE sitcom, Mrs. Brown's Boys. 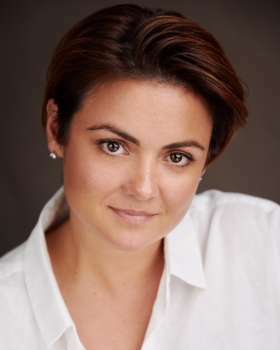 She has played the role of Maria Brown since the shows debut in 2011. She reprised her role in the 2014 film Mrs. Brown's boys D'Movie and the 2017 chat show All round to Mrs. Brown's. Fiona has toured theatres and arenas worldwide on and off for the last 18 years with all five of Mrs. Brown's Boys plays.